Soooo, have you started wrapping gifts yet? I've seen so many different creative ways peeps have decorated their trees this year, from adding flowers to pineapples and the usage of "millennial pink". Now it's time to get gifting! In my last post, I rounded up my favorite free printable gift wrap designs, so you could get your DIY on. Today I'm rounding up some fun, swoon worthy wrapping paper designs that are totally instagramable, and will make your family and friends hesitate to open their gifts. View the round up below and click on the images to shop your favorites. If you're a non-traditionalist like me on Christmas you should check out Etsy? 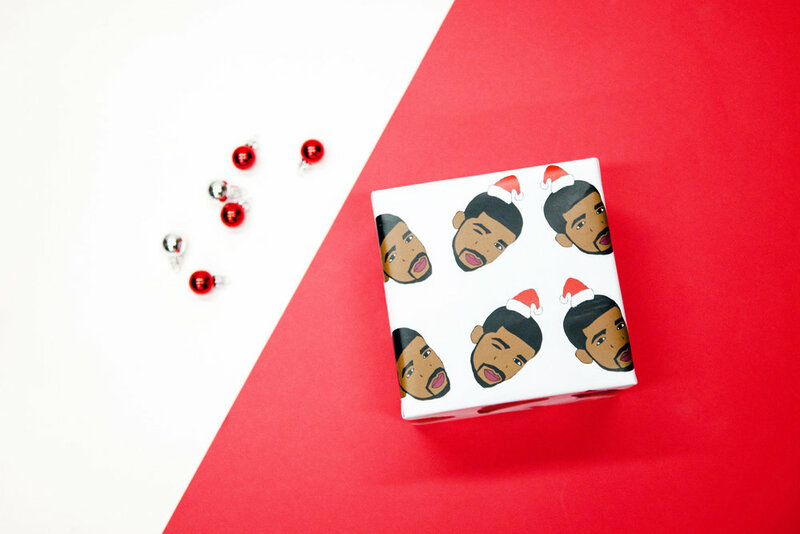 It's full of creatives you can feel good about supporting this season and these gift wrap finds are one of a kind. Here's some from my favorite shops. Hope this helps make your gift wrapping ideas a little easier!